Are religious and spiritual beliefs a matter of the heart or the head? Or neither? The growing consensus among cognitive psychologists has been that people who are more intuitive and less analytical end up being religious as adults. But new findings by researchers at Coventry University's Centre for Advances in Behavioural Science and at Oxford University challenge this assumption. Their research suggests that people are not born believers, and that no specific personality traits or cognitive styles cause some to be more religious than others. Instead, the factors most likely to influence religious belief are where an individual was born and the upbringing and education they received. "We don't think people are 'born believers'... The available sociological and historical data show that what we believe in is mainly based on social and educational factors, and not on cognitive styles, such as intuitive/analytical thinking," said lead author Miguel Farias. The reason this research is important is that it challenges a deeper implied assumption that those who are more emotional or less rational tend to hold beliefs in the supernatural, while those who are more "left-brained" or scientific tend to hold secular or atheistic beliefs. In some circles, intelligence is linked with lack of religious belief, while having a lower IQ is linked with being a believer. For example, since 41% of American scientists do not believe in God or a higher power, compared to only 4% of the general public, some conclude that this is because scientists are generally smarter. The reality may be that those who had access to a particular kind or quality of education throughout their lives become more inclined to favour scientific explanations over supernatural ones. 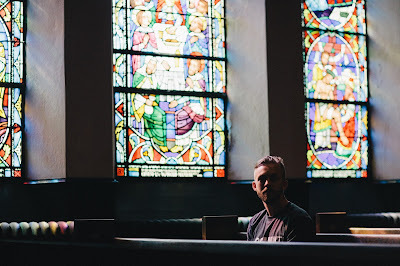 On the opposite end of the spectrum, those who are religious and support a spiritual worldview may believe that having a strong intuitive sense puts them "closer to God" or to spiritual insight. The above-mentioned study calls this assumption into question as well. Important note: This is a preliminary study, which means that more studies like it are needed to confirm its findings. So, while the new research calls into question previous assumptions many have held, nothing conclusive can yet be drawn. very informative blog as i also believe that individual religious beliefs are influenced by upbringing. This had some good points in it. It's true that we learn religious beliefs from our upbringing. However, it's also true that every human culture includes religious beliefs, just like pair bonding and care for the young. That makes it as inherit as bipedalism. Why? One theory is that we, unlike other animals, realize that someday we will die. Do we despair, or do we invent a continuing existence and a power that creates order in the universe? Or maybe they sense something bigger than us. Physicists are now saying, "The Universe is Conscious."